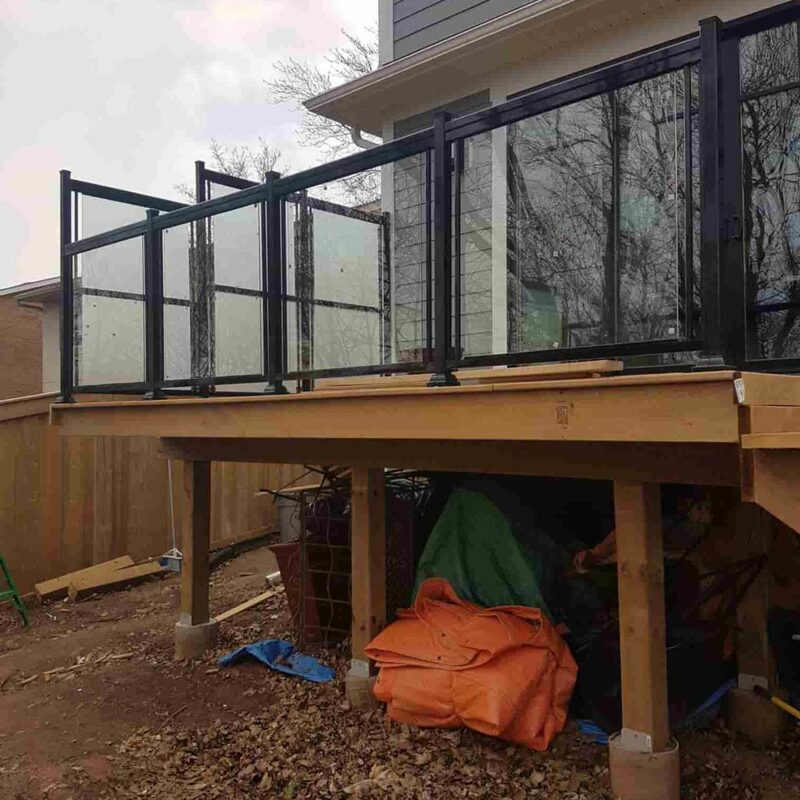 Considering that a deck fence is one of your home’s safety features, there are specific regulations that you need to follow during construction particularly if your deck is at least 30 inches from the ground. 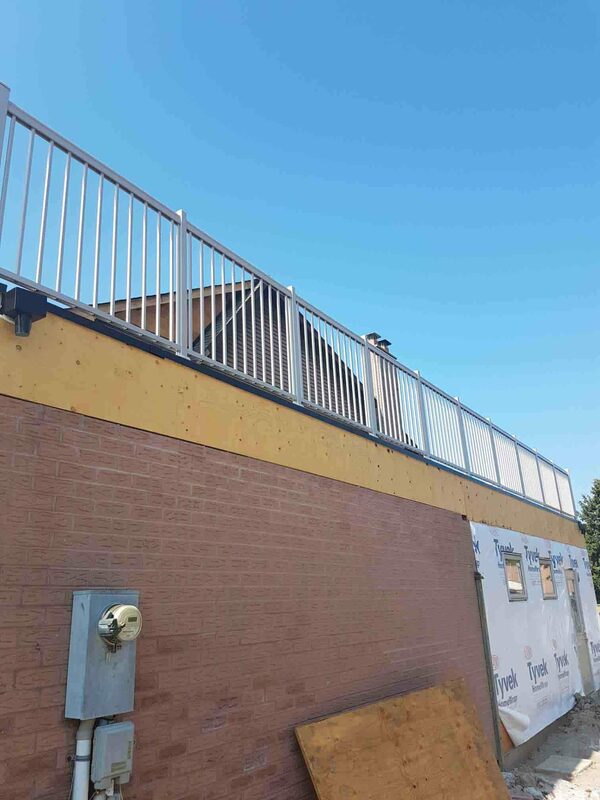 In Canada, most of these regulations are in compliance with the OSHA. There are instances, however, wherein local authorities include additional restrictions to meet the requirements of their specific areas. 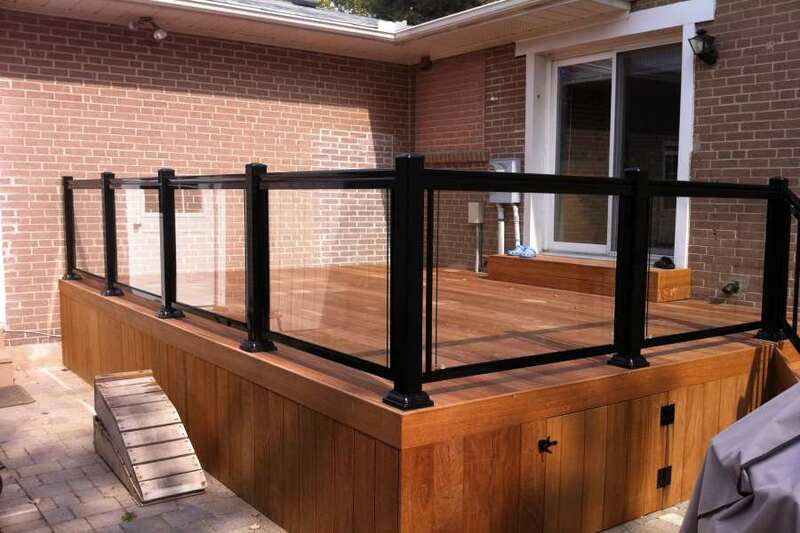 Below are deck fence requirements you may be interested to know. 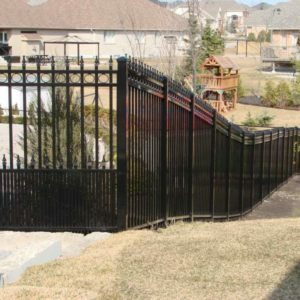 Lot coverage – this aspect is no longer covered in the requirements. 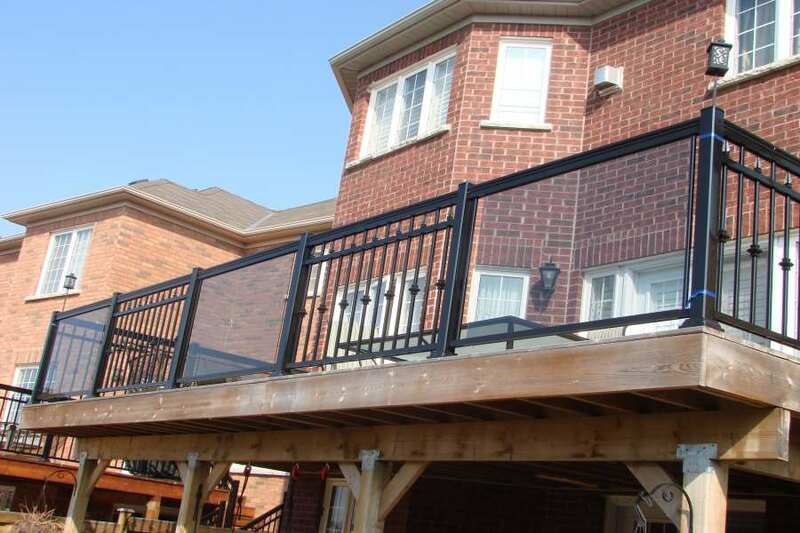 Height – the minimum height requirement for a deck fence or deck railing is 36 inches for residential structures. 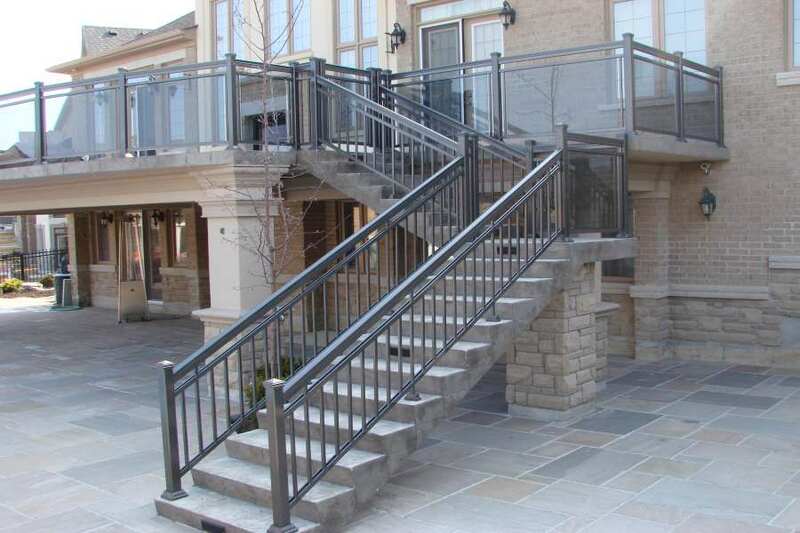 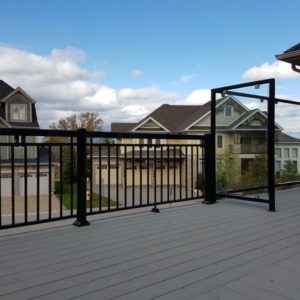 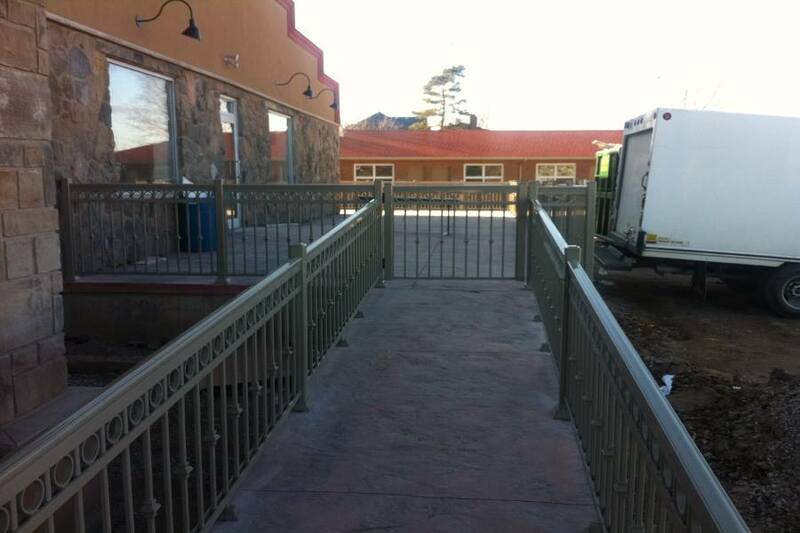 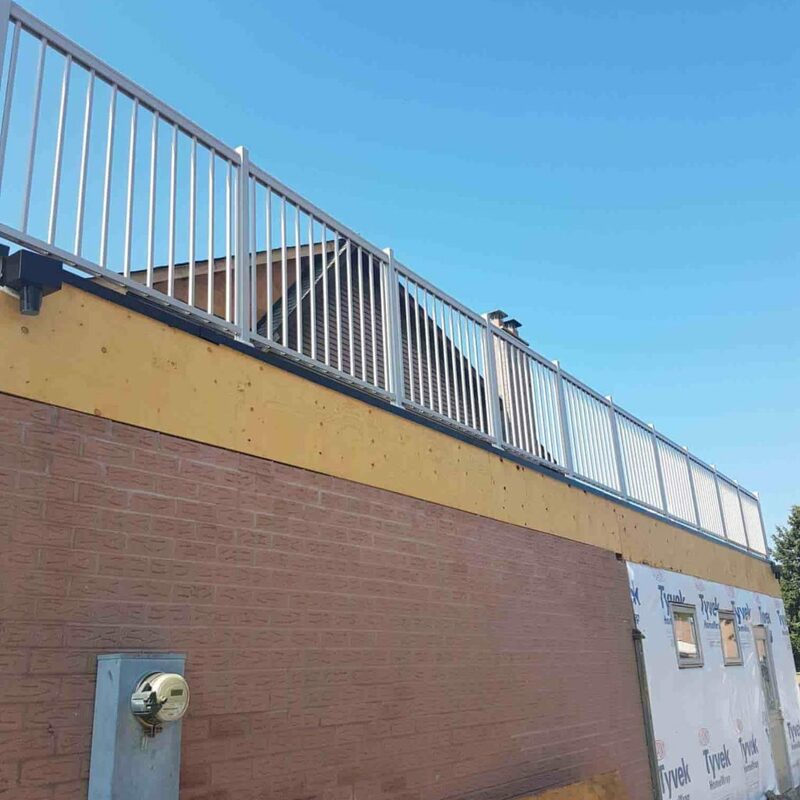 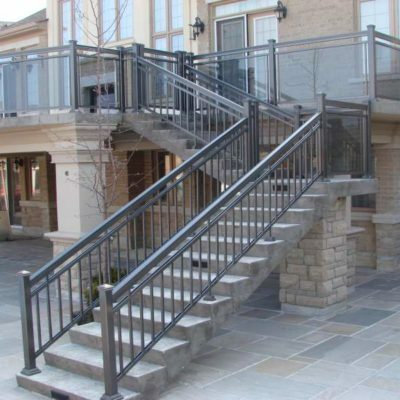 For commercial deck fences, however, such as the railings of restaurants, bars, and even apartments or condominiums, the minimum deck railing height is much higher at 42 inches. 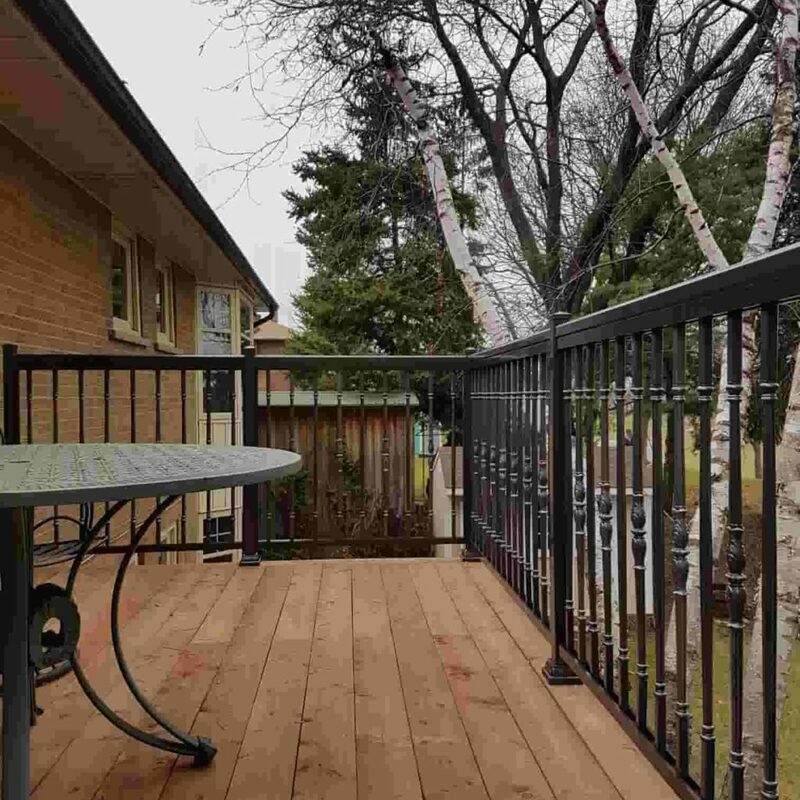 Strength – at the very least, the deck fence should be able to withstand a 200-pound force. 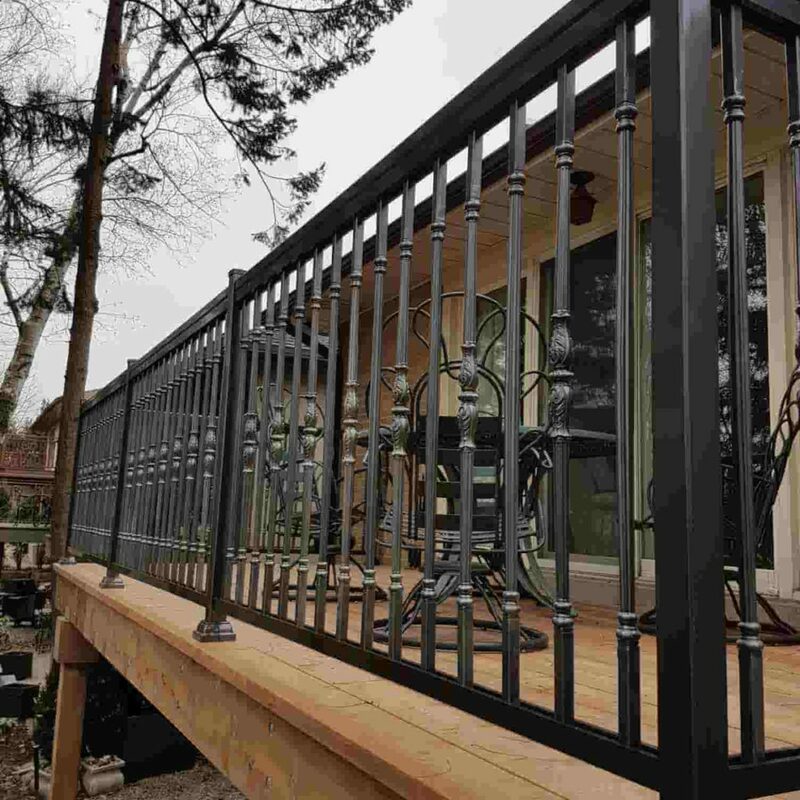 This means that the deck railing should be able to sustain the force exerted by people leaning on it. 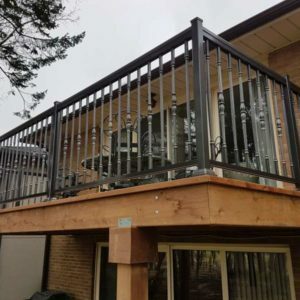 Keep in mind that the 200-pound force is just the bare minimum, for a testing perspective, the deck fence must be able to withstand the amount of force 2.5 times the bare minimum. 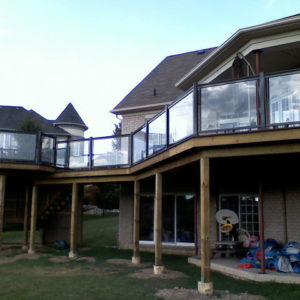 This means that the deck fence should be strong enough to hold 500 pounds of force. 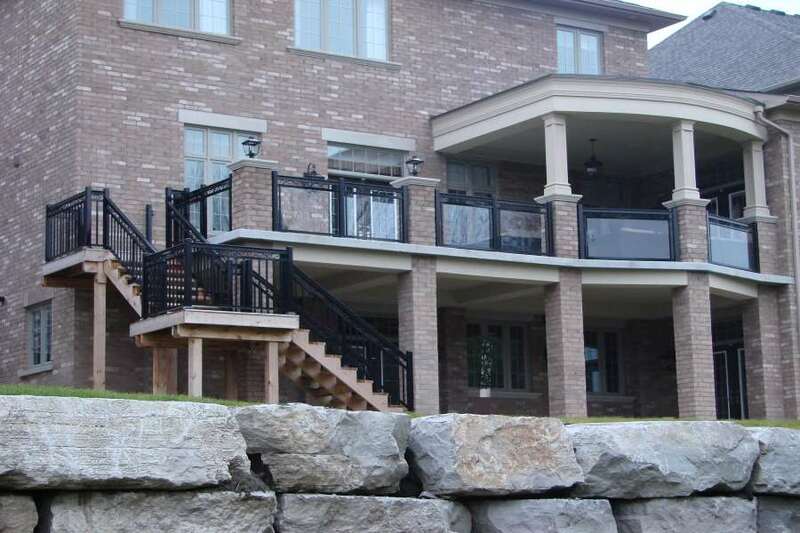 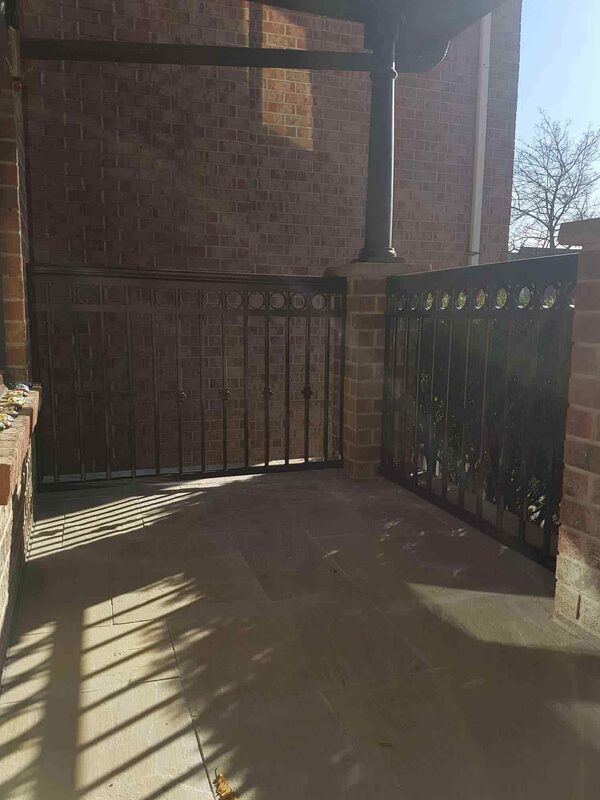 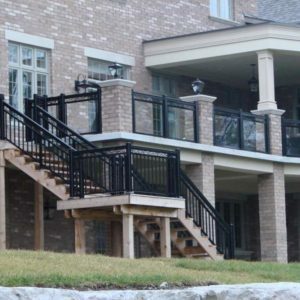 Balusters – to prevent anything or deter anyone from accidentally falling through, deck railings are required to have balusters or vertical guards with spacing that is no more than 4 inches. 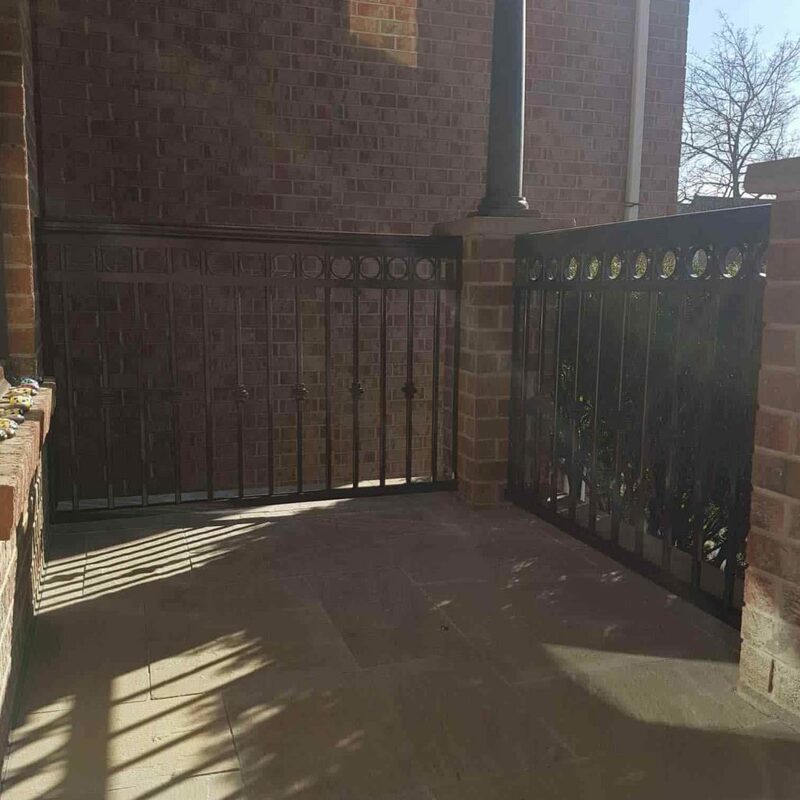 Apparently, the 4-inch diameter is the average size of a toddler’s head and the requirement was set specifically to prevent small kids from sticking their heads and getting stuck in between the balusters. 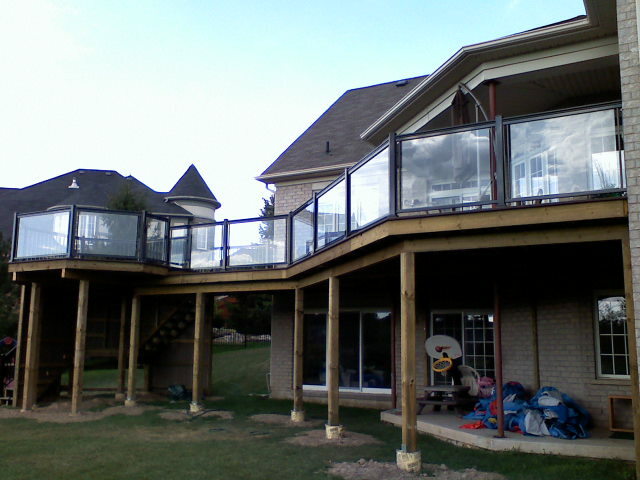 Location – you can build a fence or railing in your deck even if your deck is low enough that deck fence is not required. 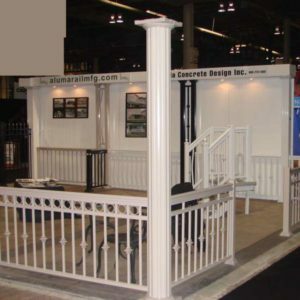 Nonetheless, you need to follow the strength requirement. 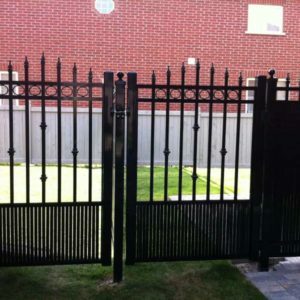 Fence Side – this aspect is no longer covered in the requirements. 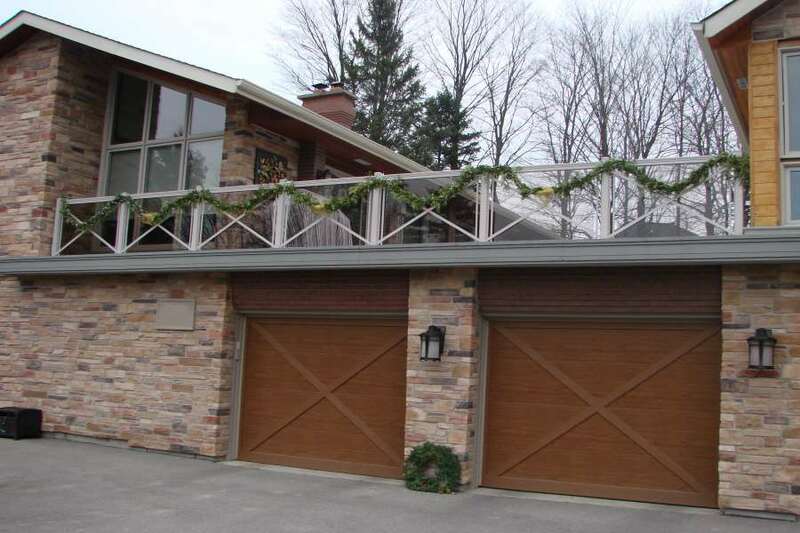 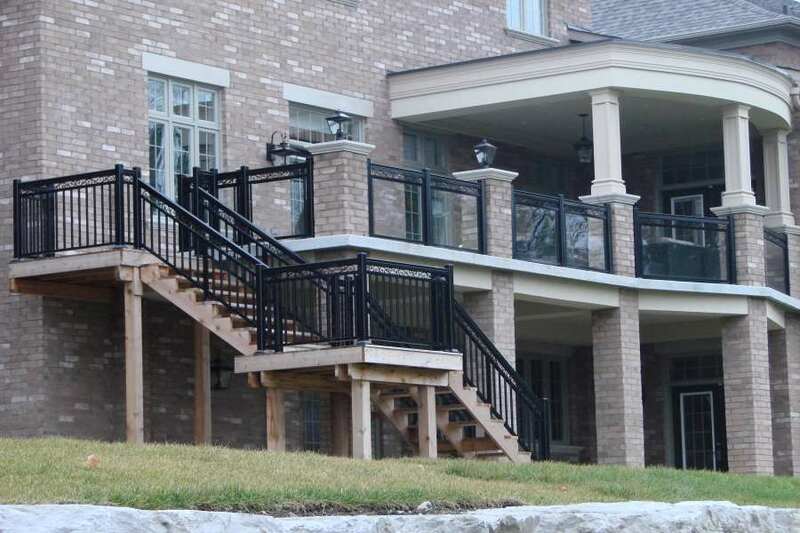 Wood deck railing is a good choice, particularly if you are looking for a more natural and classic look. 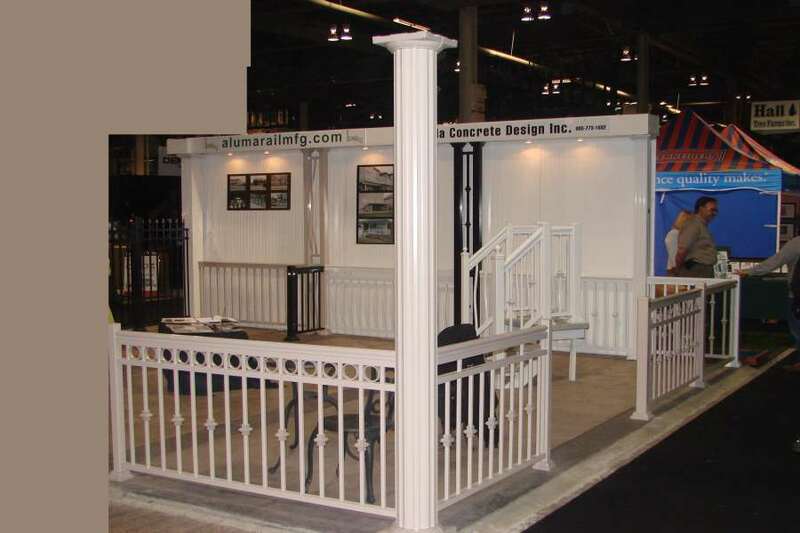 You can also transform this material into a Victorian or Chippendale style to suit your preference. 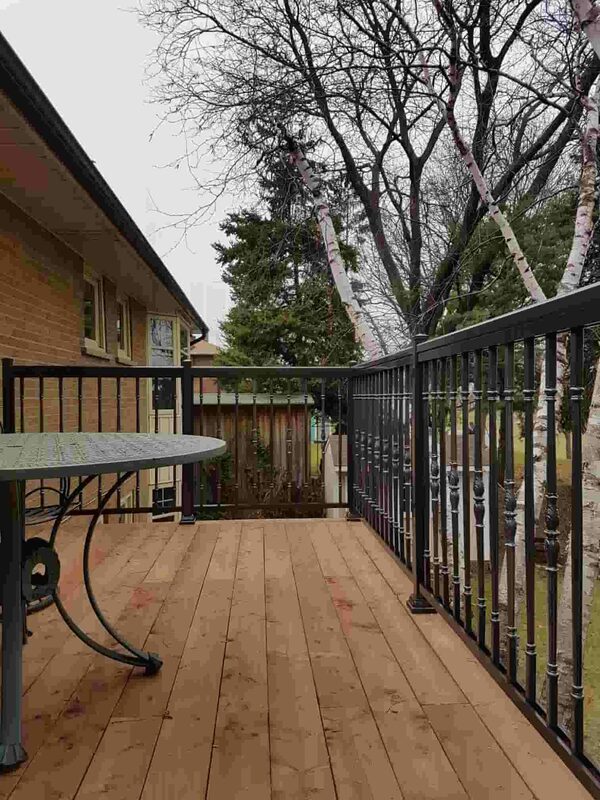 Wood deck fences are practical and very affordable. 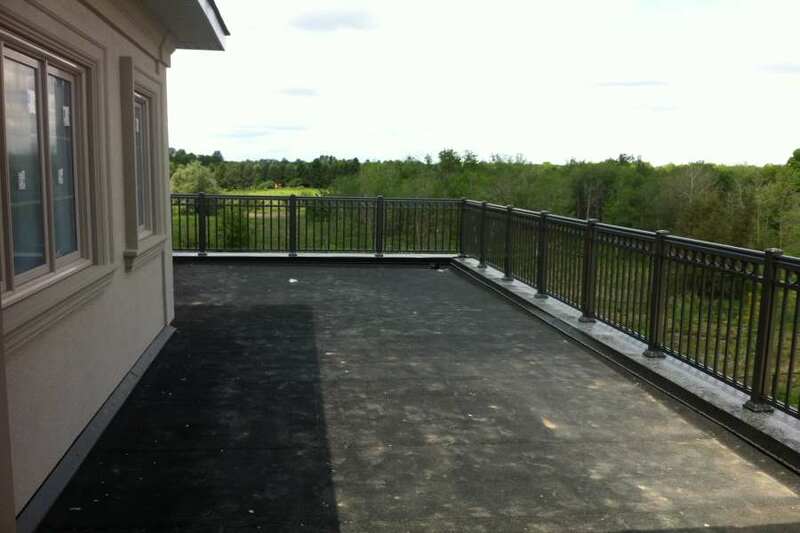 Moreover, with proper maintenance and care, your wood deck fence can last for many years. 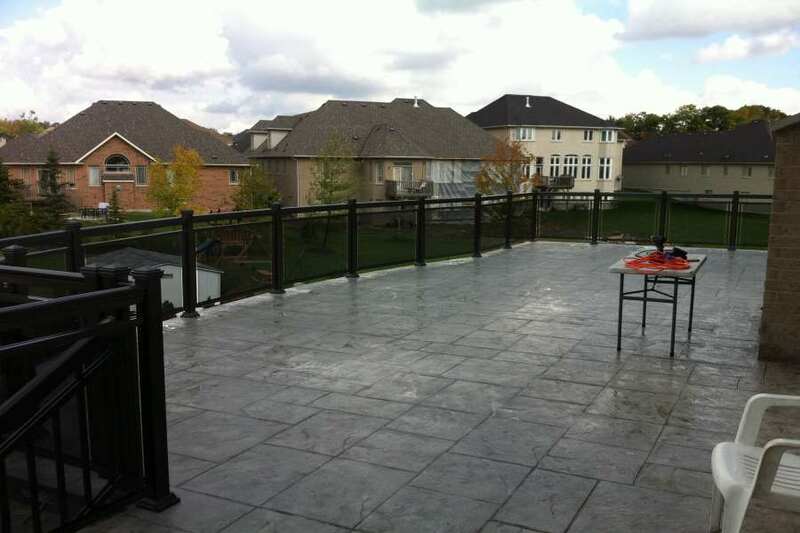 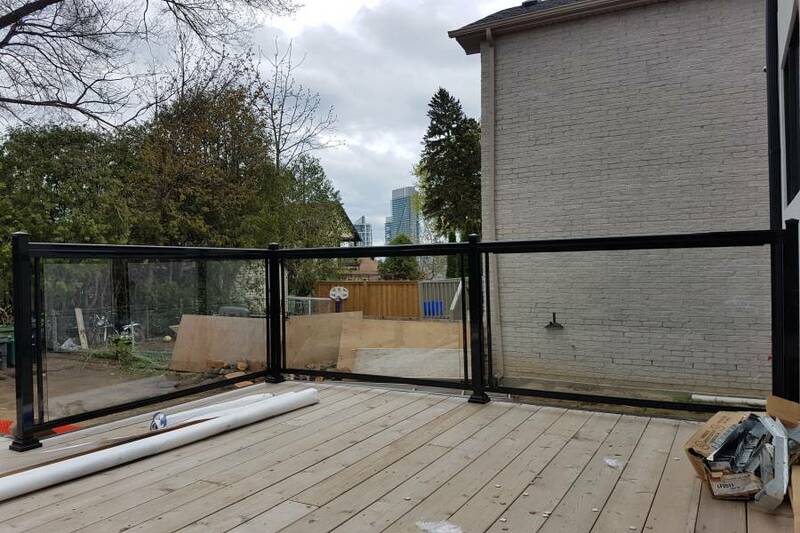 If your deck is located in an area with a good view, you may choose to construct a stainless cable deck railing. 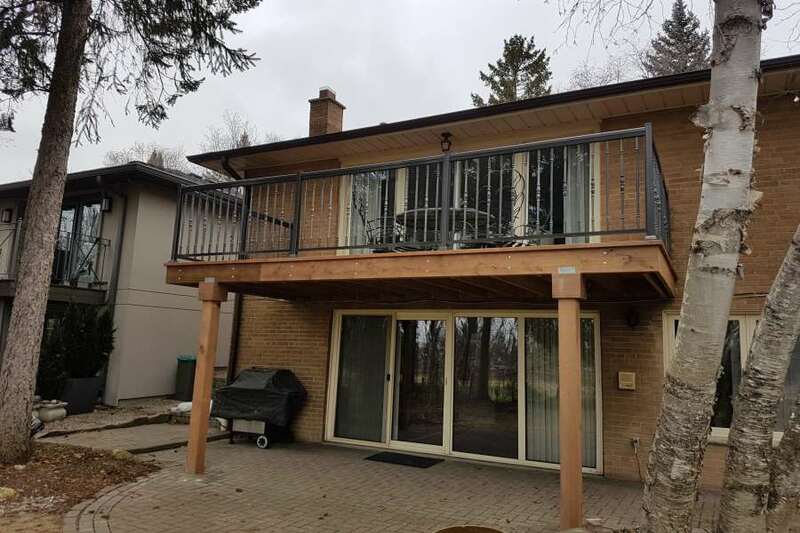 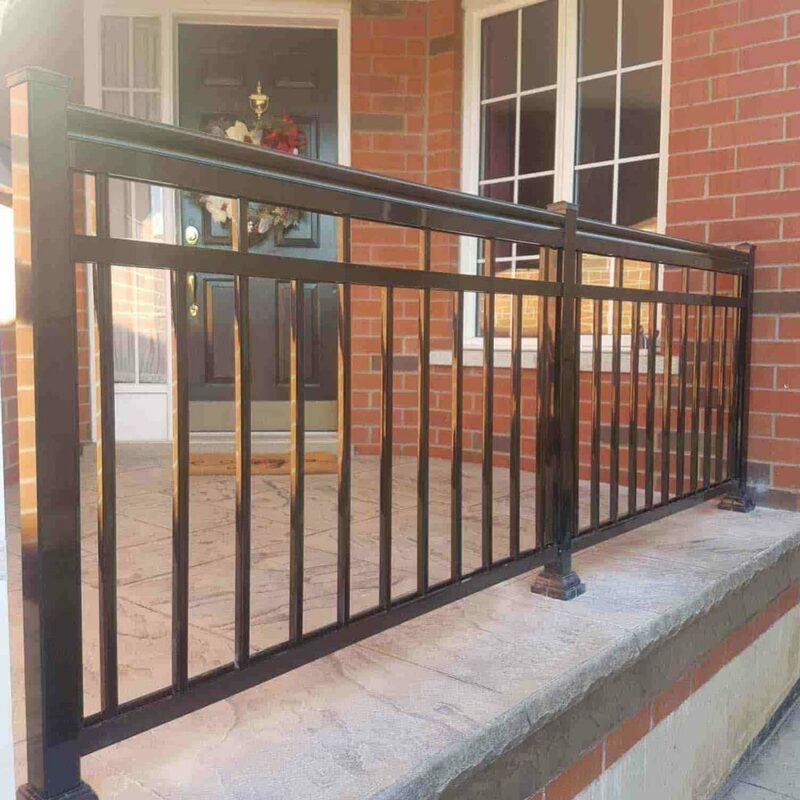 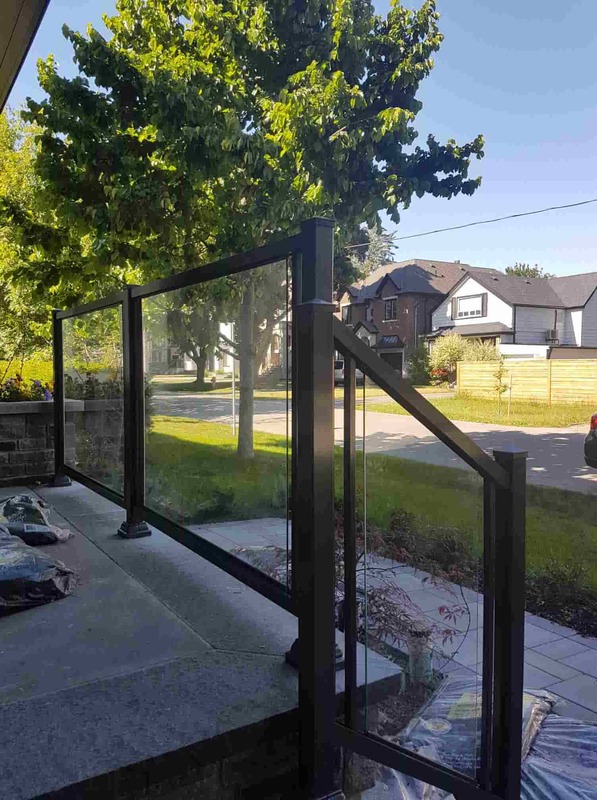 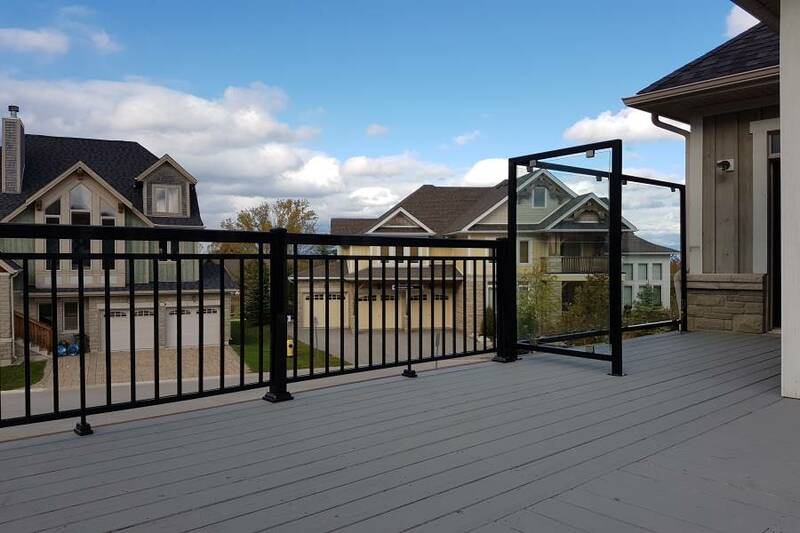 Apart from being strong and sturdy, this deck fence design will also not obstruct your view since they are narrower compared with other railing materials. 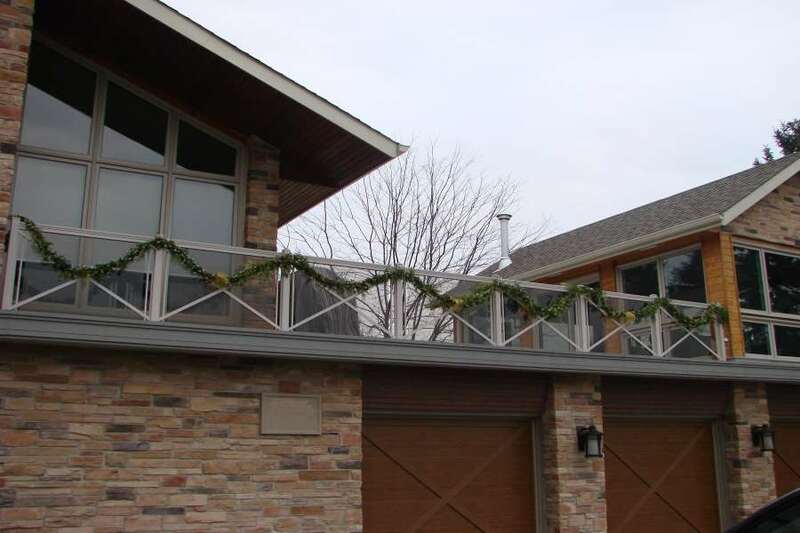 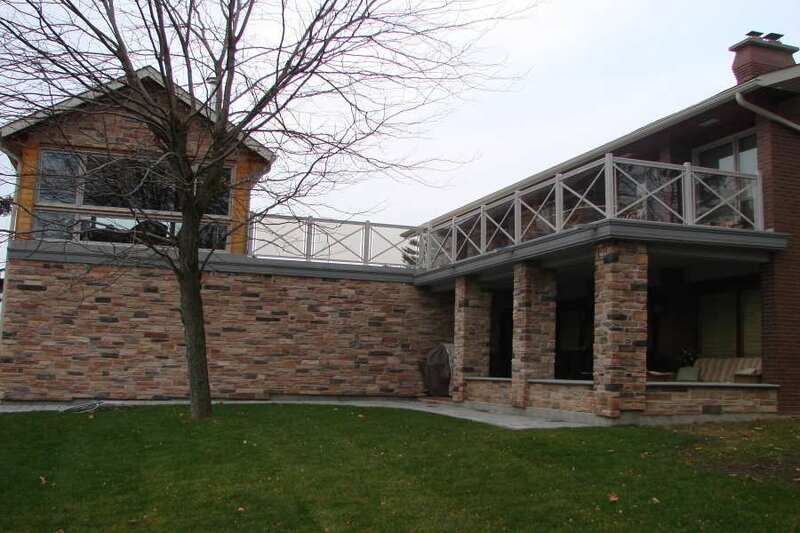 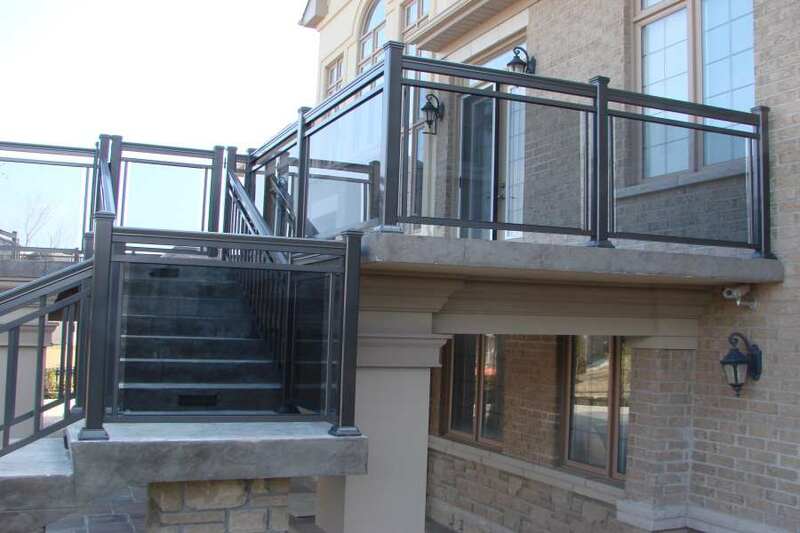 Cable railings can go well with various home designs, whether contemporary or conventional ones. 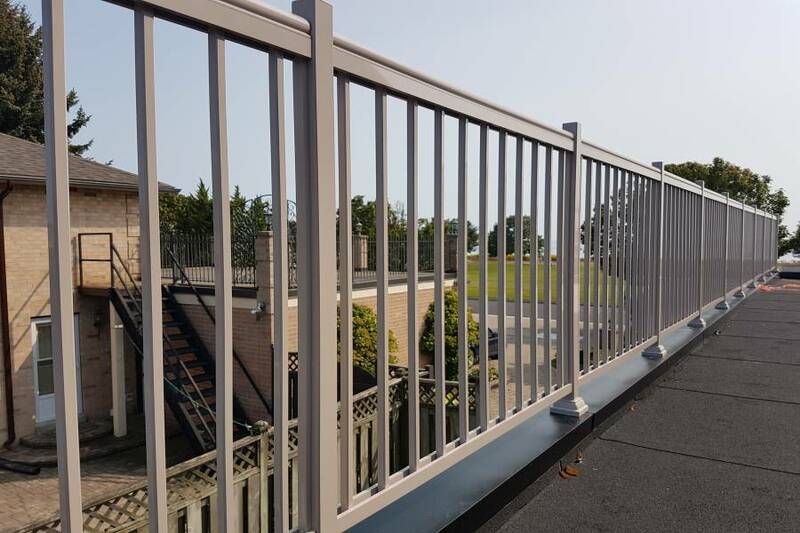 More importantly, if safety is your primary concern, a stainless cable railing will surely deliver as it can withstand tons of pounds of force without breaking. 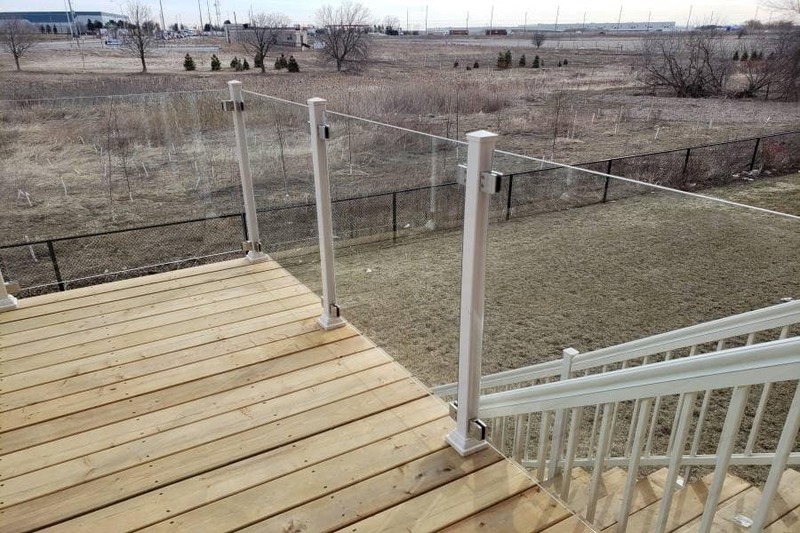 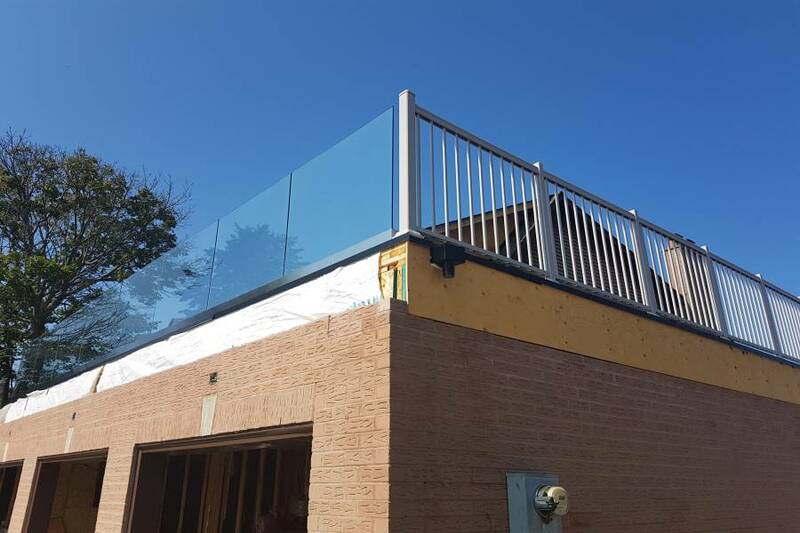 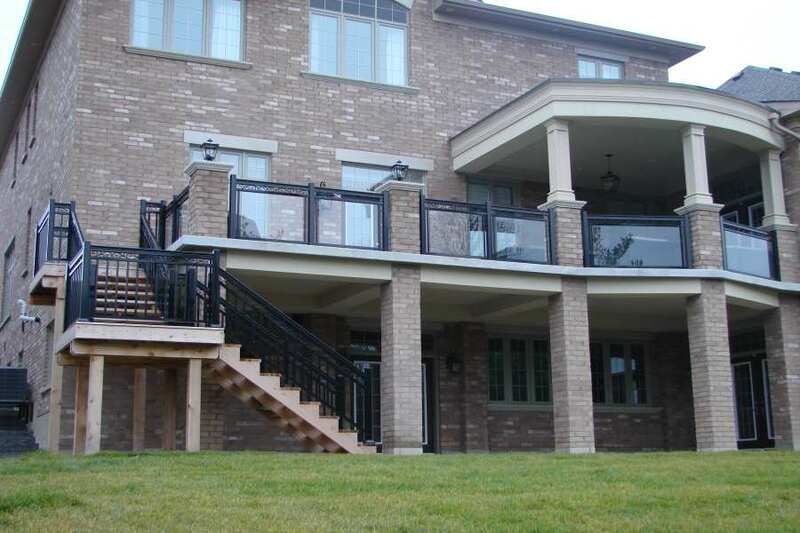 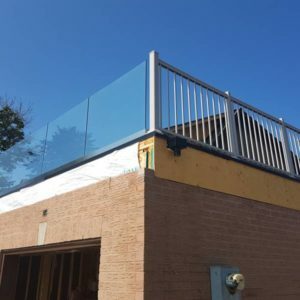 If aesthetic ranks high in your list of considerations, then you may want to consider a glass deck railing. 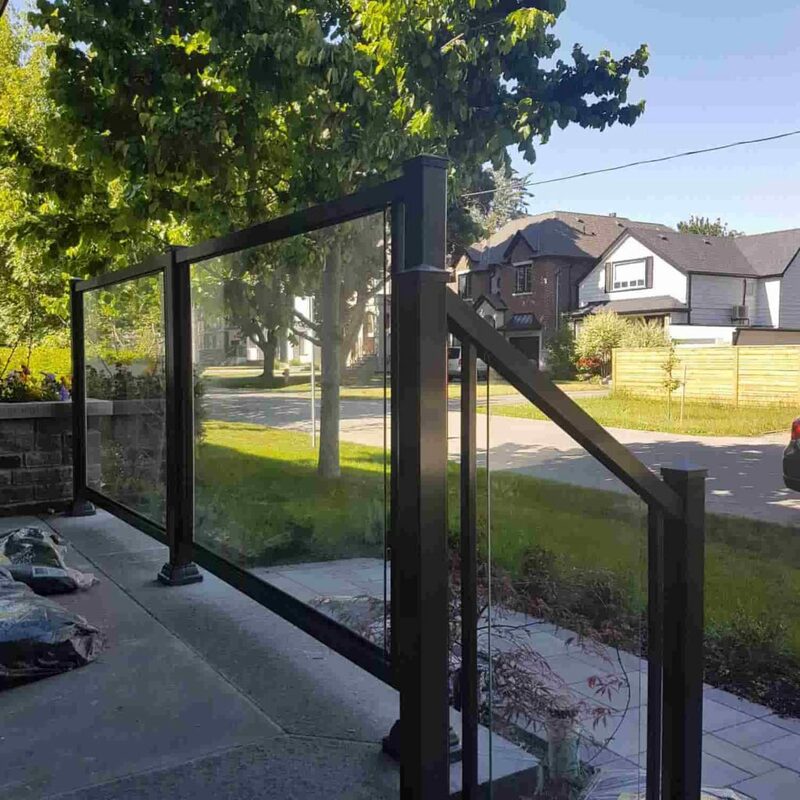 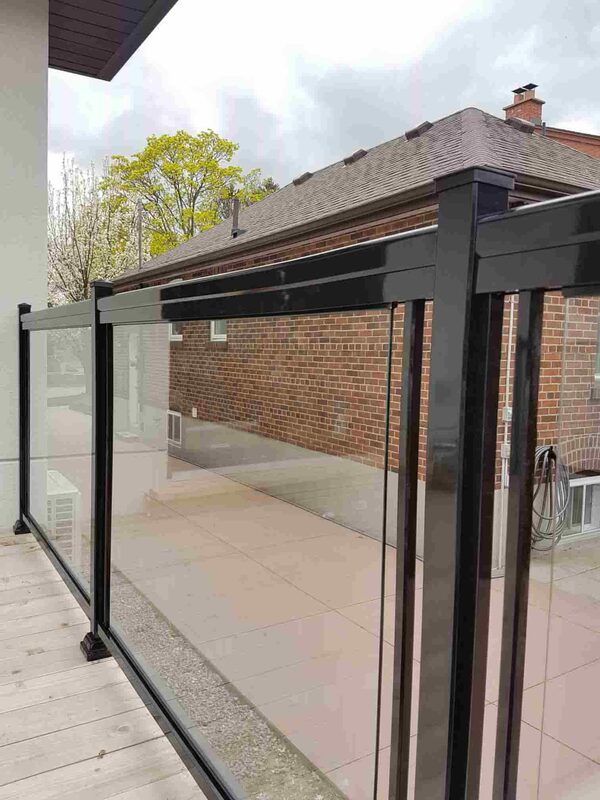 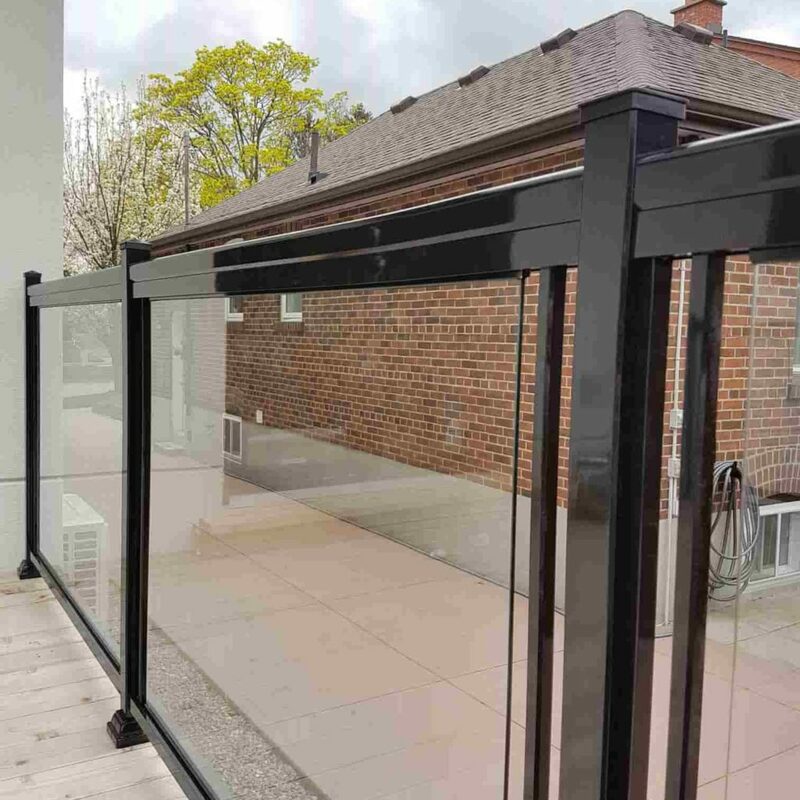 Glass offers a high visual appeal, an unhindered view of your surroundings, versatility in design, durability, and ultimate protection since it provides a solid barrier. 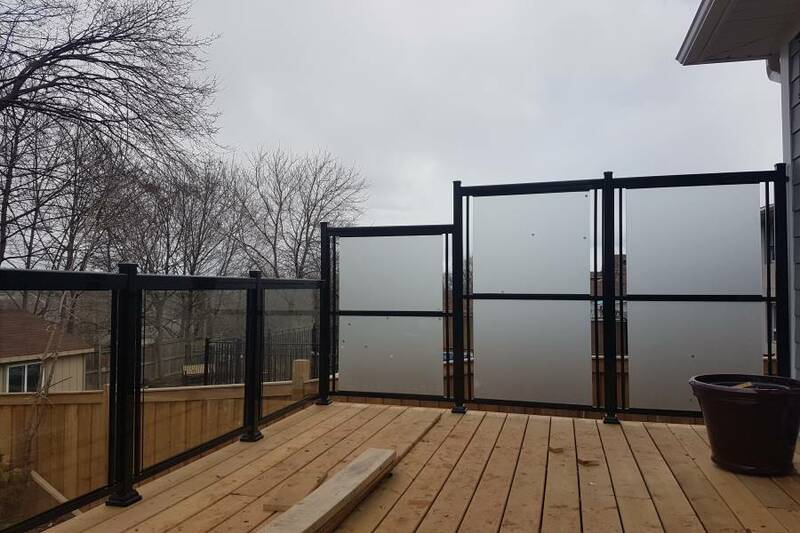 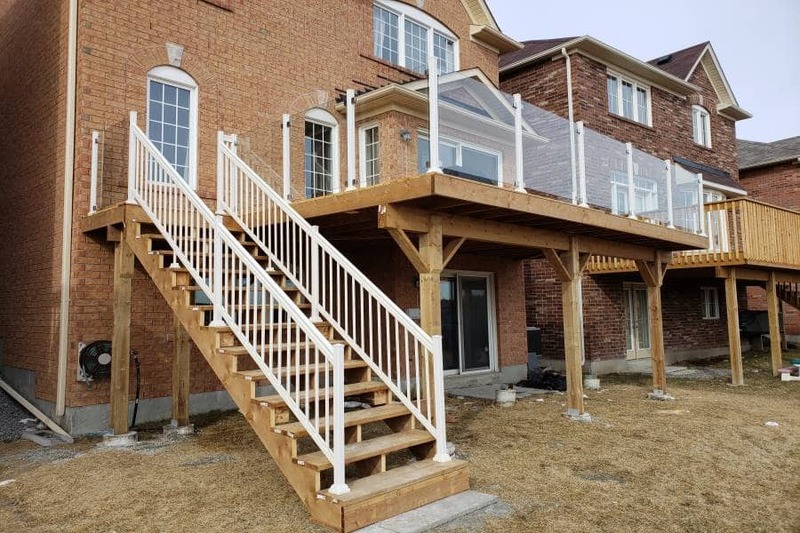 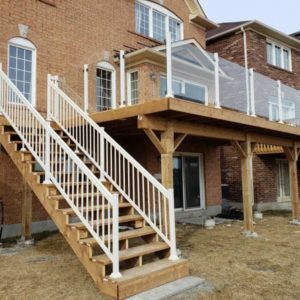 The downside, however, is that glass railings are more expensive, requires daily maintenance, and can make your deck much warmer as the full glass panels tend to trap heat. 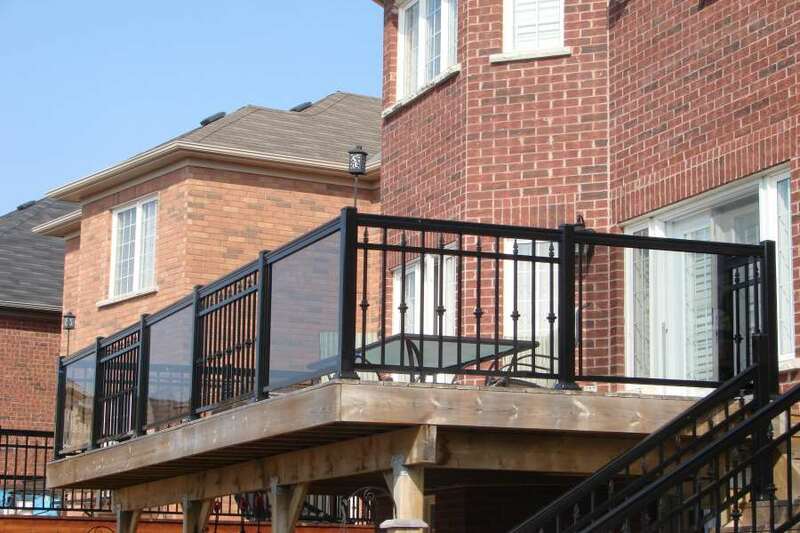 If you live in a traditional style home, you can build a deck fence made of aluminum instead of the usual wood material. 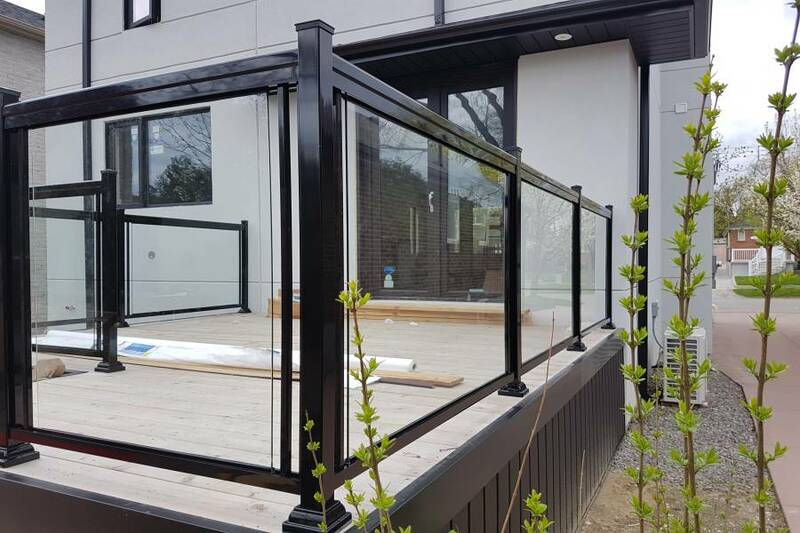 Aluminum beautifully captures the impeccable combination of design and functionality, much like your own traditional home. 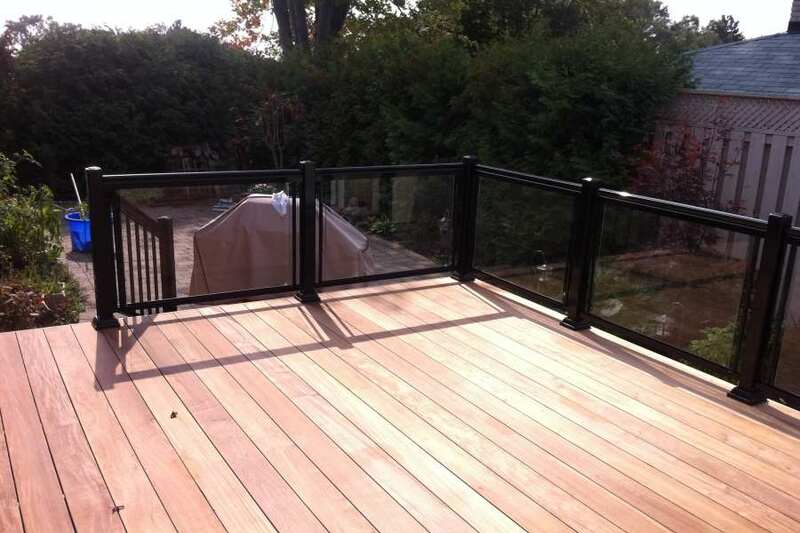 When you use an aluminum railing, you have tons of colors to choose from if you want your deck fence to stand out. 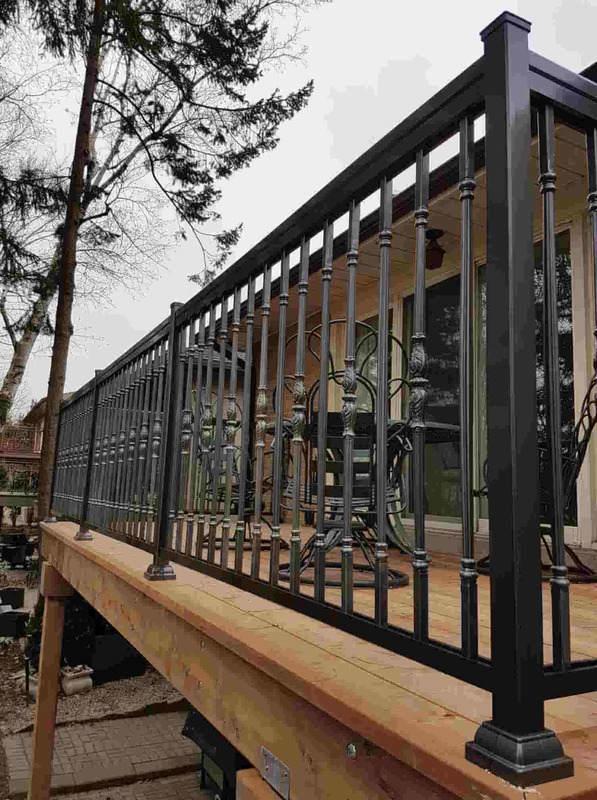 Aluminum can also satisfy your desire if you are going for a more elegant or classic look, much like the impression of wood. 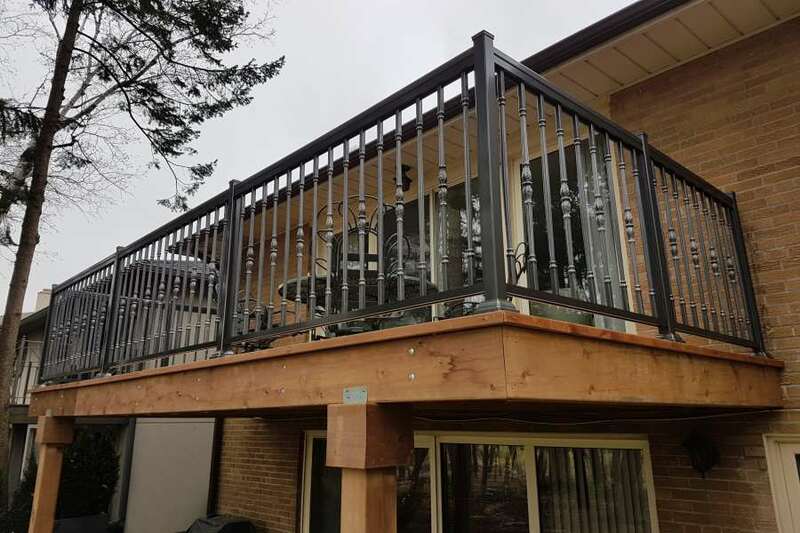 Apart from giving you versatility in style, aluminum is also more durable and can withstand water or moisture than traditional wood. 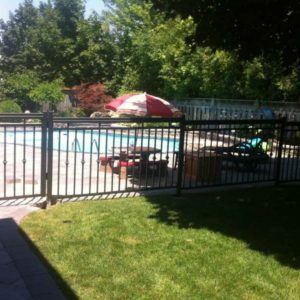 When Do You Need Deck Fence? 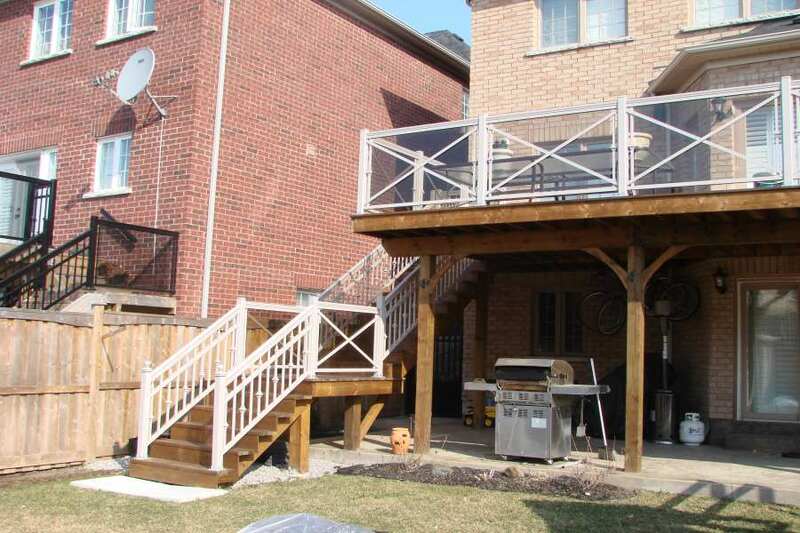 You are not obligated by law to build a deck fence if your deck is low-rise or below 30 inches from the ground. 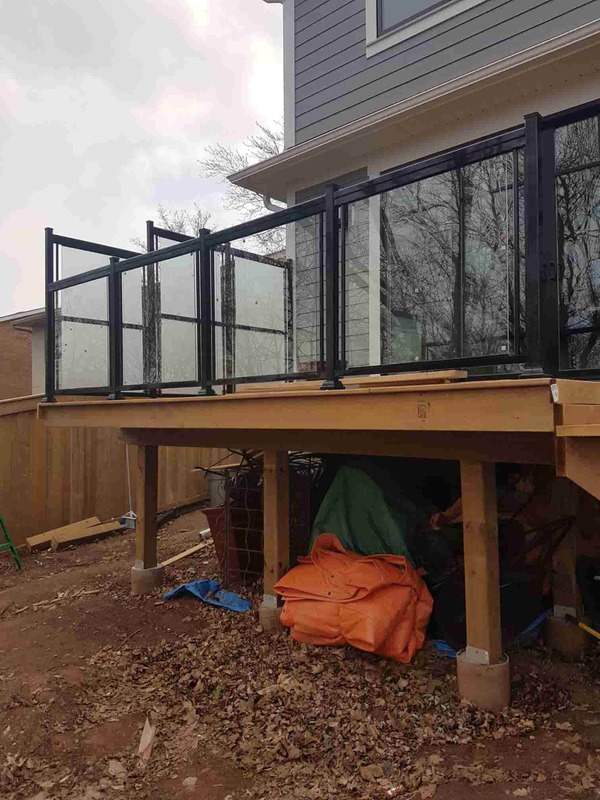 But if your deck rises over 30 inches from the ground, building code conditions demand that you construct a deck railing in accordance with specific requirements mentioned above. 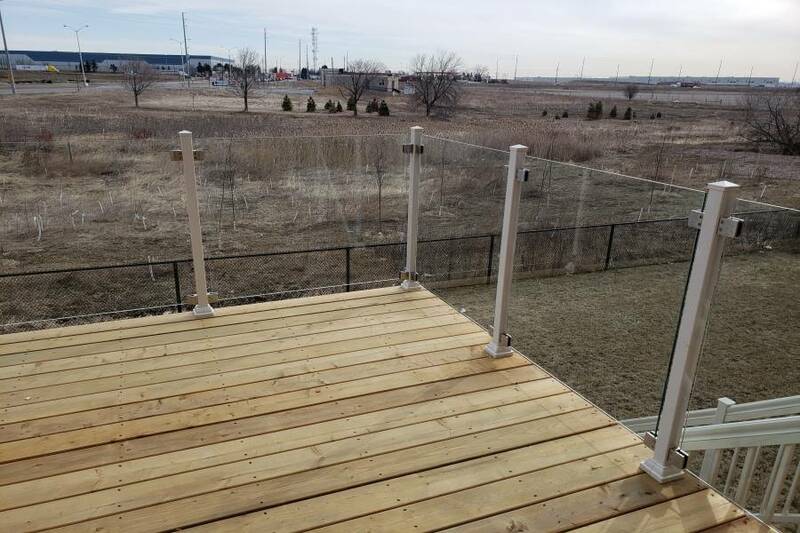 Is It Cost Effective to Replace Deck Fence or Repair It? 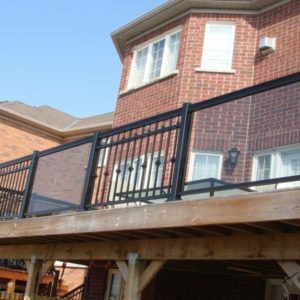 There is no hard and fast rule with regard to making a decision to replace or repair a deck fence as there are many factors to consider. 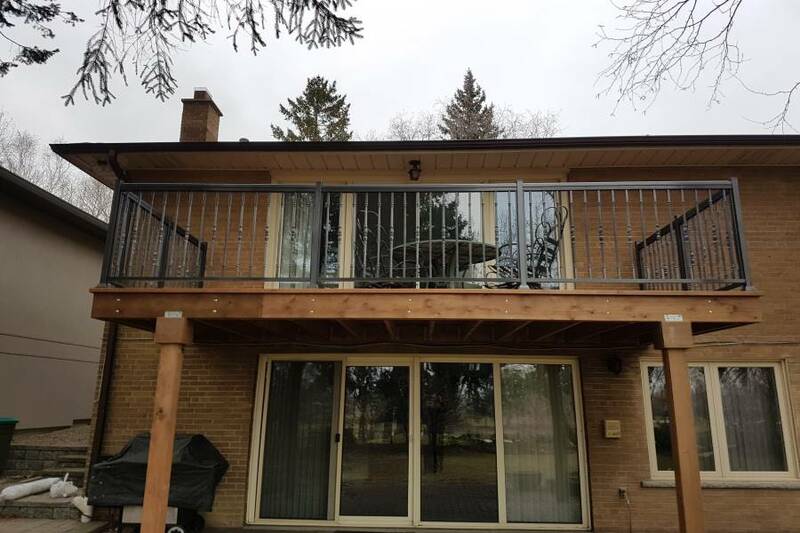 Nonetheless, it is important to point out that there are two occasions wherein you have no choice but to replace your deck railings. 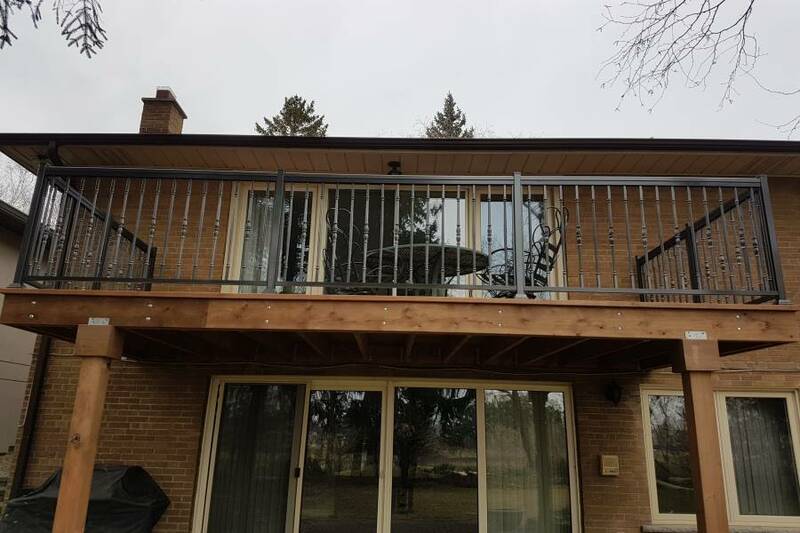 When you want to completely change the style and design of your deck fence and when your deck railing is in need of extensive repair because it already poses a great safety risk. 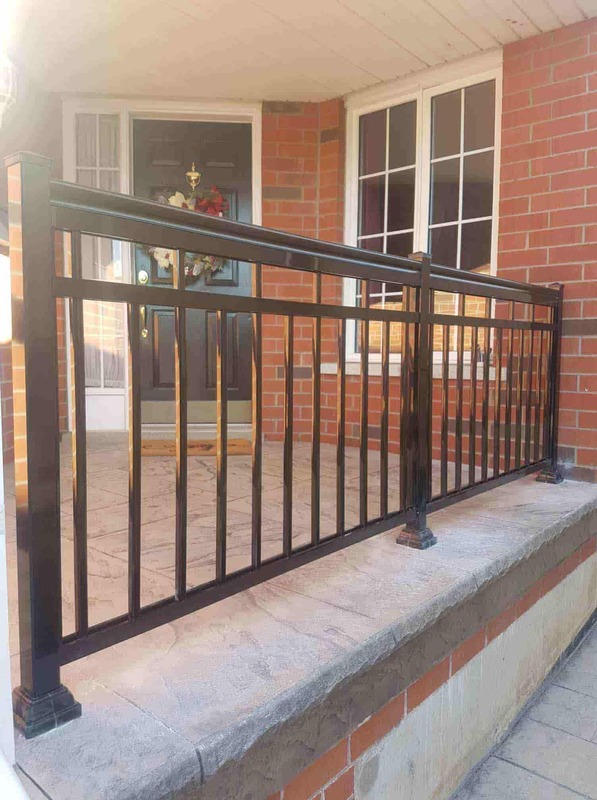 When the damage is too extensive, particularly if your railings have yet to be replaced for decades, it would be more cost-effective to opt for a replacement since the cost of repair would most likely amount to the replacement cost. 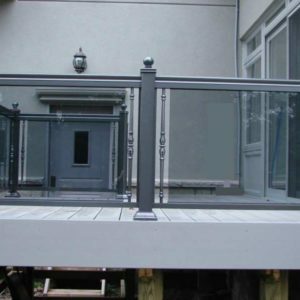 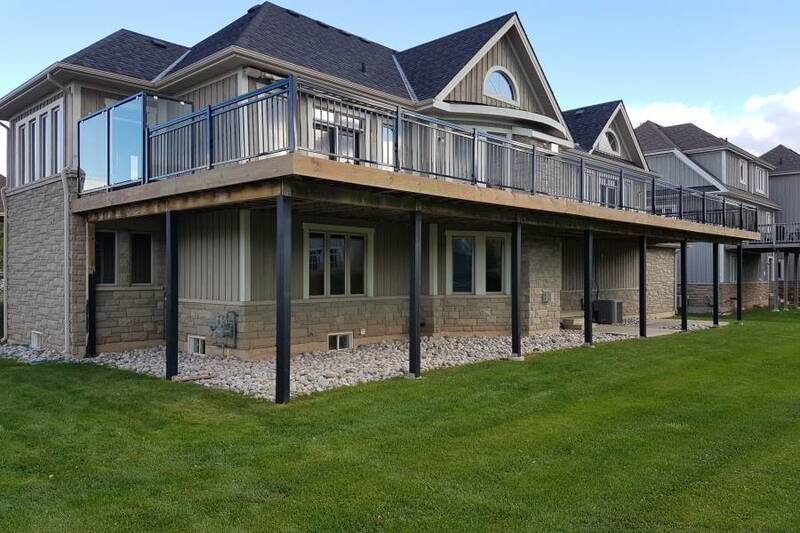 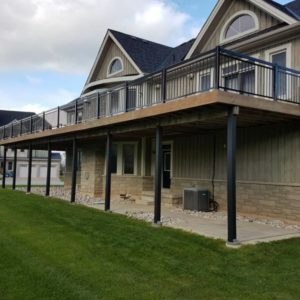 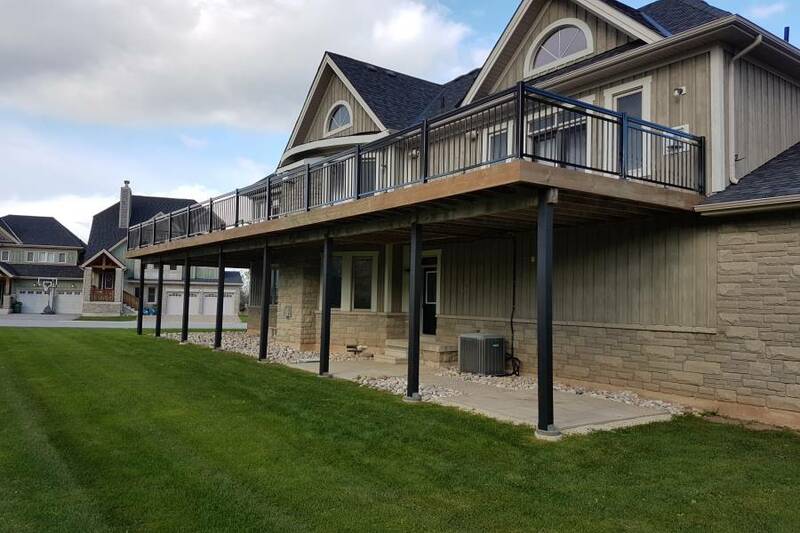 If your deck railing is essentially still in good condition (safety-wise) but there are just certain sections that are loose, wobbly or broken, then you may opt for repair as it would be less costly than replacing everything. 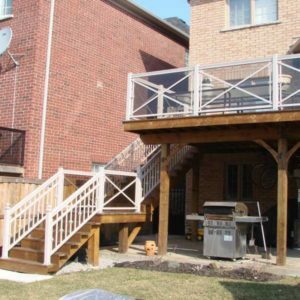 Note that deck railing repairs may cost you somewhere between $500 to $4,000 depending on the difficulty of the job, the deck fence material, and the repair rates in your area.